Hot nights call for cool looks. With long days and even longer nights, there’s always an event on the calendar. No matter where you’re heading—out with coworkers or your main squeeze—here are our favorite looks for hitting the town in style. See 5 ways to dress for a summer’s night out! Table for two, four or six! Channel some boho vibes with one of this season’s hottest off-shoulder top trends and some super distressed denim. Keep your accessories (and makeup) minimal and natural for a fashion-forward look that’s all the way down to earth. Wine with the girls? Don’t mind if you do. Add a little edge to your look with a darker color story. 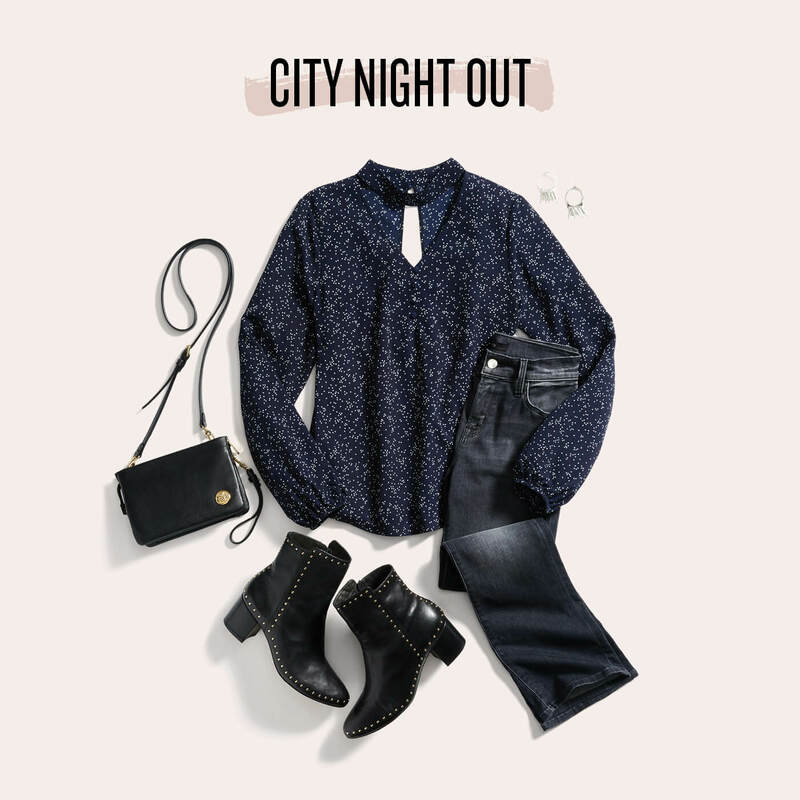 Keep it seasonal and breezy with an unstructured top, paired with black rinse denim and ankle boots (think: extra lift without the heels). Stylist Tip: A little whiskering & weathering goes a long way to keeping your look just the right amount of laid-back. Clean, crisp, and cute. Take your 9-5 look into the evening with a few chic tweaks. Moto-inspired details add Sandra Dee-inspired vibes to your office-appropriate blazer and strappy heels elevate your entire ensemble. Stylist Tip: Balance the structured tailoring of your jacket with a free-flowing tank. Make it modern with a neutral palette. Fire up the grill and pass the sangria! 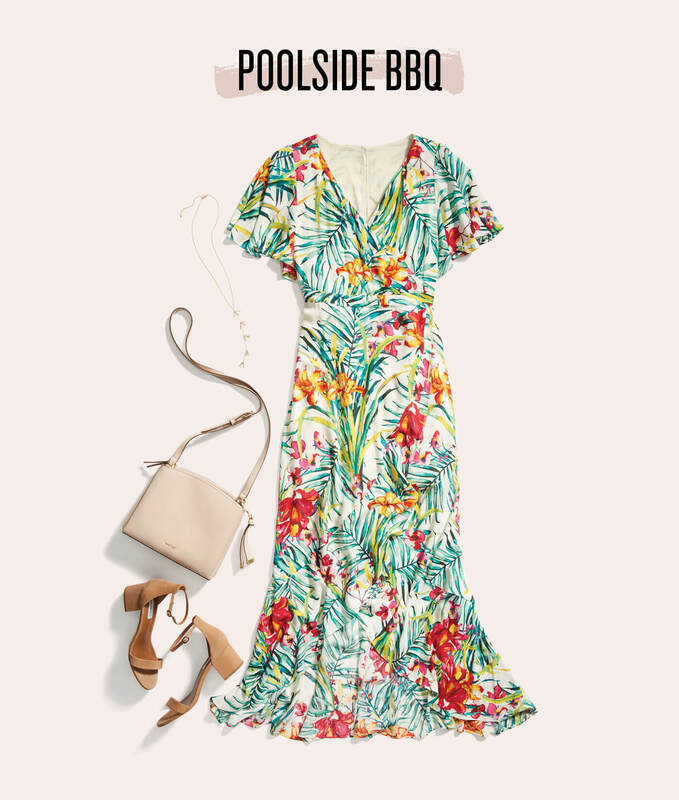 Bring your style A-game to a weekend BBQ with friends in a casual-chic dress. We could go on and on about our love of summer dresses (and we have), especially in summer’s pop-color patterns. Stylist Tip: Master the grass! Avoid the “golf tee” sink with a block heel. Add a little comfort and stability to your summery sandals with an ankle strap. Date night calls for a flirty dress. 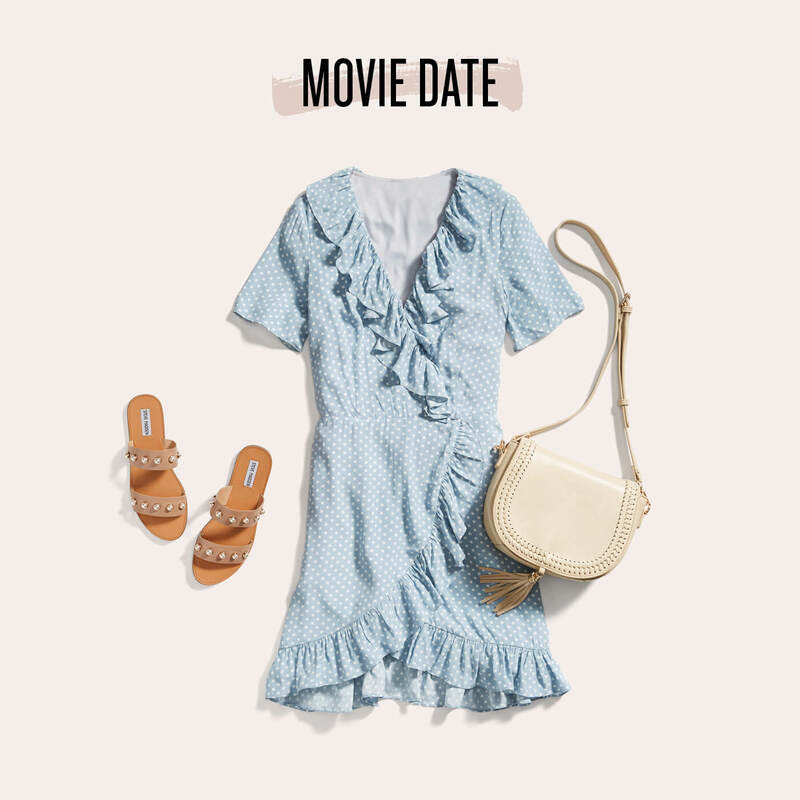 Balance girly ruffles with lightweight chambray for a look that’s as cute as it is versatile. Add strappy slides to keep your look summery and ready for anything — from 9 rounds of mini golf, to a stroll along the beach. What’s your favorite summer night out look? Head to your Fix Note to tell your Stylist!